The cost calculation usually starts when the design is already finalized. Only then the working steps for the production facilities will be specified. 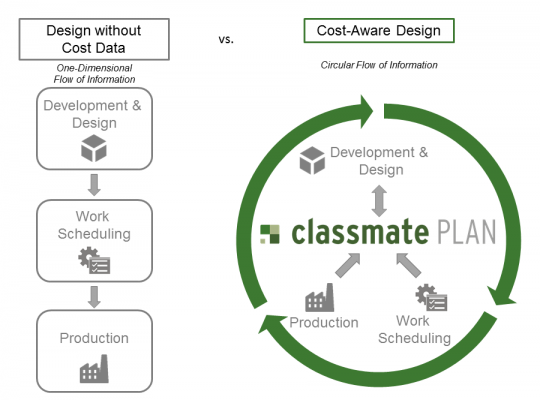 With classmate PLAN software by simus systems you perform this step decidedly earlier and design based on your own cost structure. How would you like having an overview over the production costs of your new development from the CAD system at the push of a button during modeling? You would identify cost drivers, analyze alternate solutions and make informed make-or-buy decisions. This is exactly what you achieve with the classmate PLAN software by simus systems. 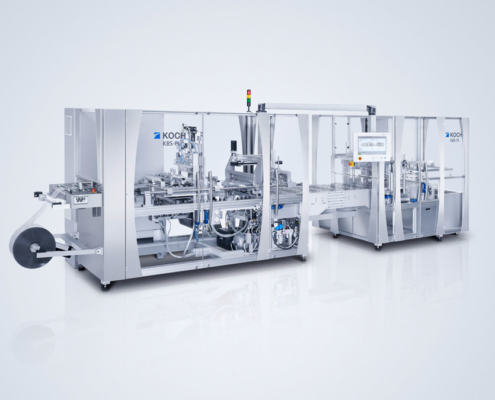 Calculate Production Costs – What Enables the Automated Process? 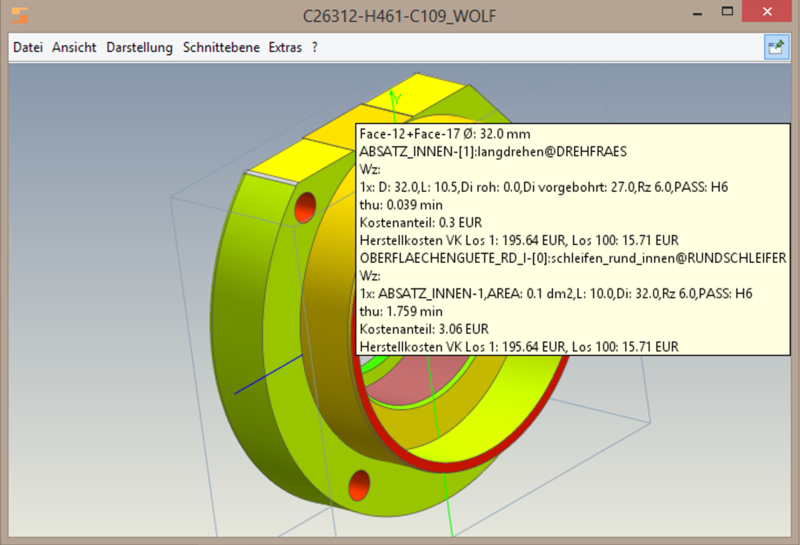 All geometric, topologic and additional information, such as finish quality, fit and tolerances are extracted from your 3D CAD system to analyze it automatically. Subsequently, an internal set of rules defines the required working steps. All production facilities, tools, cutting values, information on materials and basis of calculations of your business are stored in technical databases. With these values, classmate PLAN determines the impact on technology, appropriate machines and tools, as well as time of production. 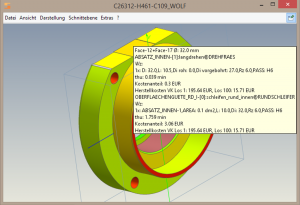 Automatically and without any additional work for the designer or planning engineer! The costing result is displayed by tables and a graphic interface without further input or switching systems. This includes the production costs for any desired batch size ranges. You can now compare any number of calculations or use other calculation basis. Simultaneously, the technology assessment is displayed including machines, set up and short cycle times in a work plan. Classmate PLAN calculates the costs of an assembly based on their individual parts, subassemblies as well as the times of joining processes and fitting. The costs for purchased parts are taken from the ERP system. Assembly times or further processing steps on the assembly can also be taken into consideration. Does the Production Cost Calculation Reflect Real Costs? The deviation should be far below ten percent. Please remember, that in contrast to many other solutions, you are using your own cost data, which is matched with PDM or ERP systems. Changes in price and other updates in costs are automatically taken into account. Cost-Conscious Design – a Profitable Project for the Entire Business! 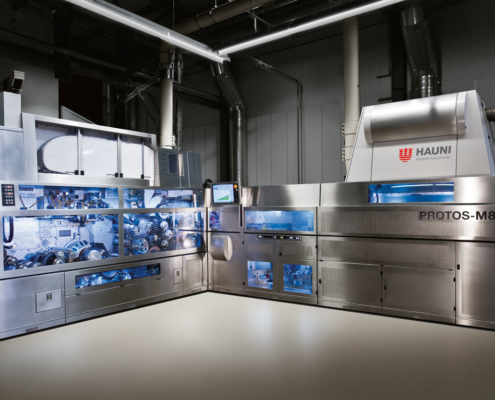 Up to 80 percent of production costs of products are already determined during development. With simus classmate, product development receives all information for all round cost-aware, informed decisions. As a result, you have massive cost reductions through cheaper component types, the elimination of unnecessary cost drivers and realistic make-or-buy decisions. Similarly, it facilitates the selection of the best procedures and production sites. With classmate PLAN you gain a powerful tool for cost optimization! Don’t hesitate to call us – we are happy to advise you on your individual requirements!